What do you need to get cooking today? Well, you already have the desire, the next step to take is to get some good cookware. You can purchase inexpensive, high quality kitchen sets and tools from most grocery and department stores. Price is not always a good way of judging quality or is the presence of a celebrity chefs name or picture on the box. I know you want to take Mario Batali and Paula Dean home with you but, don't be fooled! Your tools should be comfortable for you to use and should feel sturdy and strong. 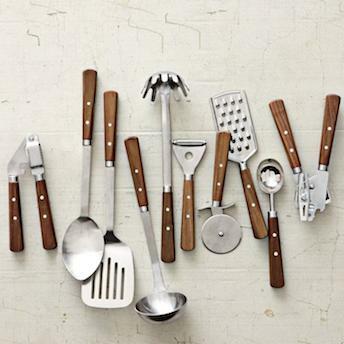 Always pick up your kitchen tools and see if they feel good in your hands. Awkward styling, loose construction, and flimsy light material are signs of bad kitchenware. Where do I get good cookware? 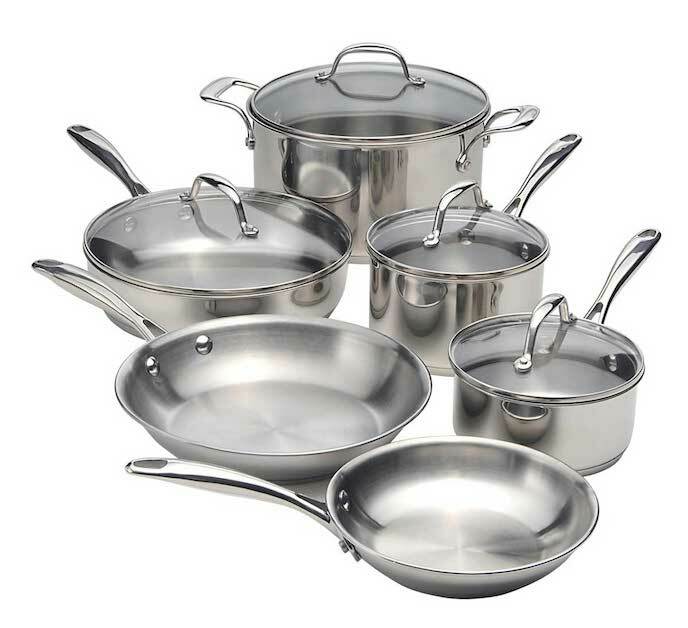 You can get solid cookware a lot of places for a good price. The first stop I always make when I am looking for a new tool is the local grocery store, Walmart,Target and Amazon. They always have something useful and inexpensive for the kitchen. My next spot always surprises people; I like to check out the shelves at Marshalls and TJ Maxx. This is where you can get some really great equipment at a big discount. I love going through all of the, out of box, slightly scratched, no price tag section for the really good deals. The best place to find a good deal on kitchen supplies is a second hand store and garage sale. You can find very expensive and often high quality stuff for pennies. What do I need to get cooking today? 1 Large (4-8quart) pot for boiling pasta, vegetables and making soups and stews. Pot made out of stainless steel and cast iron are great. Aluminum pots are a good value for a new cook. 1 Medium pan (8-10 in) for sautéing vegetables, simmering sauces, frying or scrambling eggs and for searing and browning tofu and meats like chicken, fish, beef and pork. I have found that non stick pans are ok for a new cook, but not that great in the long run. If you heat a non stick pan too much or scratch the surface of the coating, it will start to come off in your food and that is gross. If you want a good inexpensive pan that will last a lifetime, go for 8-10 inch cast iron or stainless steel pan. They are really heavy duty, cheap, easy to find, non stick and with a little love, will last a lifetime. 3 mixing bowls of different sizes that can be made out of plastic or metal. 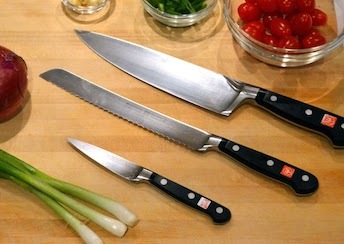 To cut your food you are going to need one good 8 inch chefs knife and a solid wood or plastic cutting board. Never use glass, stone or acrylic cutting boards because they will wear the blade of your knife down quickly. Last but not least you will need a couple of tools like a spatula, tongs, rubber scraper, ladle, whisk, mixing spoons, a colander, can opener, wet and dry measuring cups and spoons. You can find an entire set of tools for a couple of bucks at most stores. Now you know what tools you need to get cooking today, now let's get Crackin'! This is a pretty good guide. We spent a lot of money on crappy cookware before getting a decent set. You save money in the long run by getting yourself a decent setup up front!